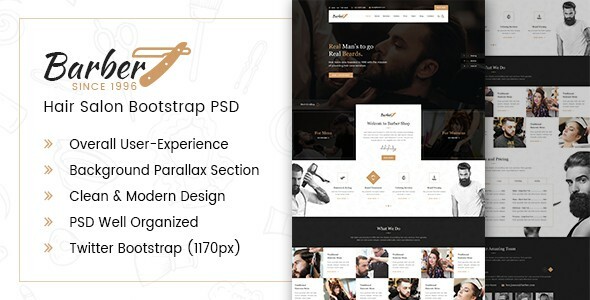 Barber – Hair Salon Bootstrap PSD Template is a unique template. The template for Barbers & Hairdressers with everything such a business needs. It is suitable for any agency or individual that wants to inform and notify others about any kind of barber and hair dresser businesses and companies.